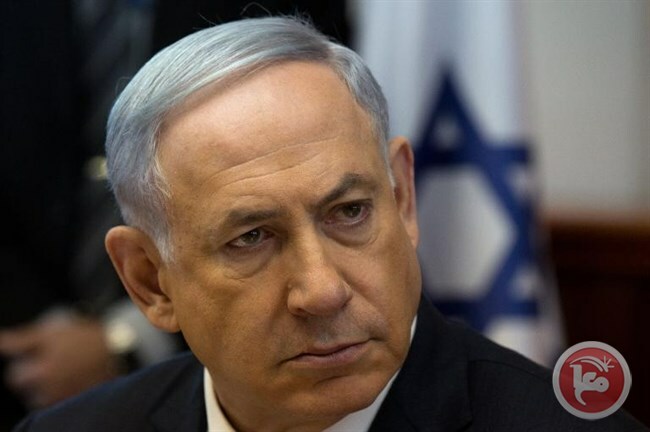 While Netanyahu's Likud party won the March 17 election with 30 parliamentary seats, he is still left with the task of forging a majority in the 120-member legislature in order to govern. On Wednesday, he inked alliances with the ultra-Orthodox United Torah Judaism (UTJ) party and the center-right Kulanu, putting a combined total of 46 seats under his command. Peace Now spokeswoman Hagit Ofran told AFP it was the first such announcement in East Jerusalem since a March 17 general election win by Prime Minister Benjamin Netanyahu's rightwing Likud party. Israeli weekly newspaper Kol Hair disclosed on Saturday a new Israeli housing plan to be implemented in Occupied Jerusalem. 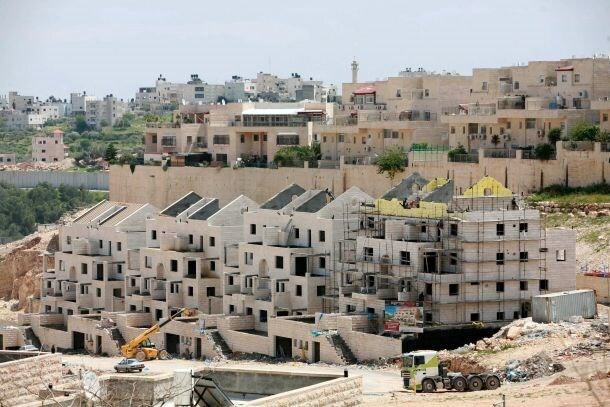 The newspaper revealed that two Israeli housing companies have won construction bids for building 56 new settlement units in a Jewish settlement north of Occupied Jerusalem. 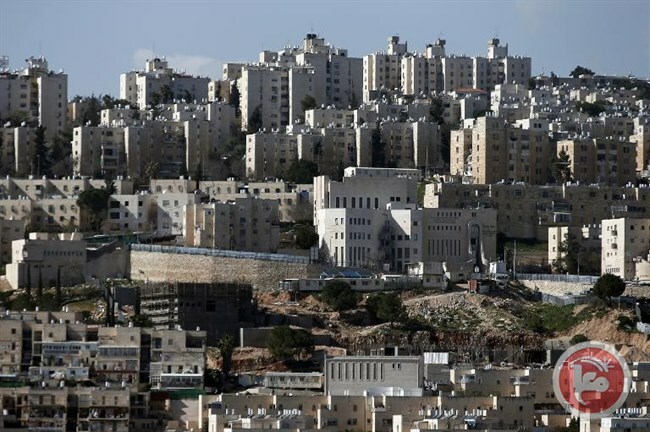 The newspaper mentioned that the housing plan will be implemented on Neve Yaakov outpost in Occupied Jerusalem which includes 25,000 Jewish people. 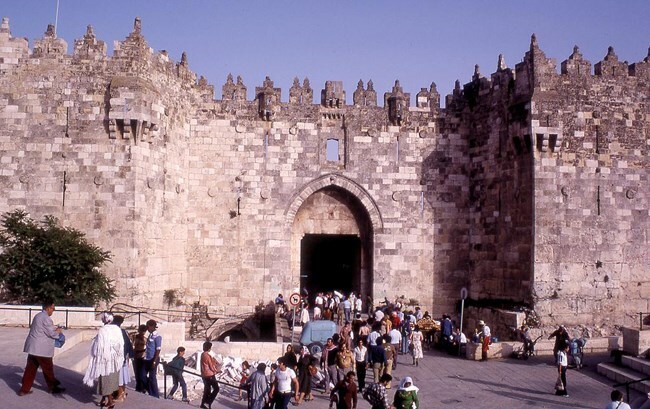 Israeli Municipality of Jerusalem is about to implement a new Judaization project of a huge underground building in front of Damascus Gate in Occupied Jerusalem. 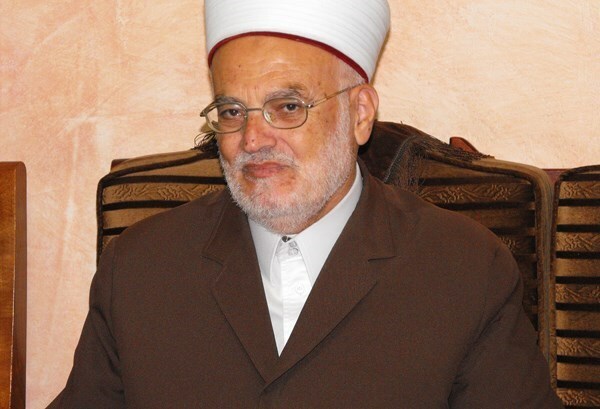 Sheikh Ekrema Sabri, Head of the Supreme Islamic Council, warned of the decision made by Jewish extremist groups to turn the historical Tankaziya school in Jerusalem into a Jewish synagogue. Sheikh Dr. Sabri revealed, in a press statement on Tuesday, that the Tankaziya school is an Islamic Waqf and Mamluk edifice located within al-Aqsa Mosque vicinity. It belongs to Prince Tankaz al-Naseri who died in 1340 and ruled Jerusalem in the Mamluk era. The Prince established the school in 1328AD as an education place and an orphanage. It consists of two stories including a niche. Dr. Sabri noted that in the early thirties of last century, the upper floor was an office for the Mufti of Jerusalem Haj Amin al-Husseini. Then, It was taken by the Sharia court as one of its departments before it was used as Al-Aqsa Islamic Secondary School from the fifties of the twentieth century to the year 1969. In 1969, it was taken over by the Israeli occupation. The students were expelled out of the school and it was used by the Israeli border guards. Sheikh Sabri himself was the headmaster of the school at that time before it was taken over by Israeli forces. The Islamic Supreme Council condemned the Israeli aggressive and arbitrary seizure of the school and demanded its return to the Islamic Awqaf management. Dr. Sabri called on UNESCO, the Islamic Educational, Scientific and Cultural Organization (ISESCO) and the Arab League Educational, Cultural and Scientific Organization (ALECSO) to bear their responsibilities and to exert efforts in order to protect the holy and historical sites in Jerusalem. He also asked them to urgently move to oblige Israel to return the Tankaziya school to the endowment properties and to stop turning it into a synagogue. 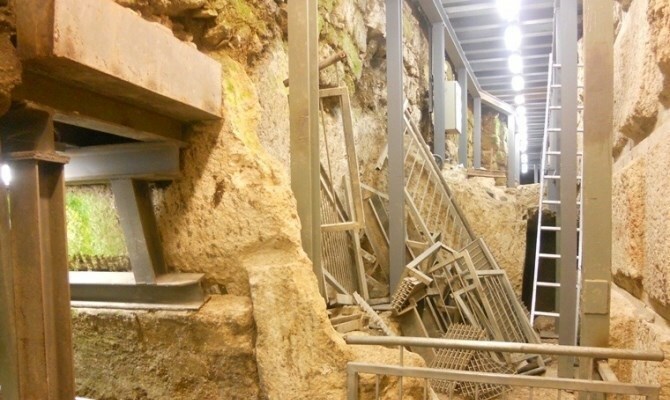 A Jewish settlement foundation used a secret tunnel under Al Buraq Wall at Al Aqsa mosque in Jerusalem, an Israeli daily paper revealed, Tuesday. The newspaper reported, according to Al Ray, that Ilaad settlement foundation used the tunnel under al-Buraq wall despite legal opposition. They use the tunnel contrary to the both the law and the state's position, according to a petition submitted to the Supreme Court. 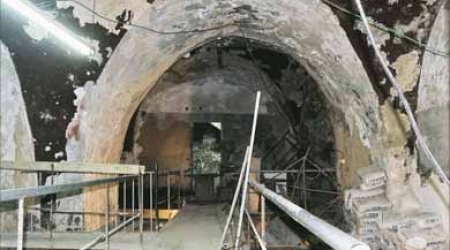 The report added that Emek Shafeh organization -- including scientists who protest the political use of their job -- had submitted a petition to use the tunnel which was dug in the past eight years by antiquities authorities and funded by Elad settlement foundation. Israel frequently permits excavations and archaeological digs in occupied East Jerusalem, specifically around Al Aqsa Mosque, which threaten the structural integrity of Palestinian homes and holy sites in the area. In 1967, Israel demolished the 800-year-old Moroccan Quarter of Jerusalem, displacing 650 Palestinians and destroying numerous mosques, homes and holy sites, in order to build a plaza in front of the Western Wall. Israel also evicted around 6,000 Palestinians from nearby areas in order to massively expand the city's historic Jewish Quarter. The Israeli High Court of Justice on Sunday accepted an affidavit blasting the Israeli Civil Administration's planning system in Palestinian Area C, and has given the Israeli state 10 days to reply. The affidavit, prepared by Professor Rassem Khamaiseh, was presented during the second court hearing on an appeal demanding the restoration of planning authority in Area C to Palestinians. 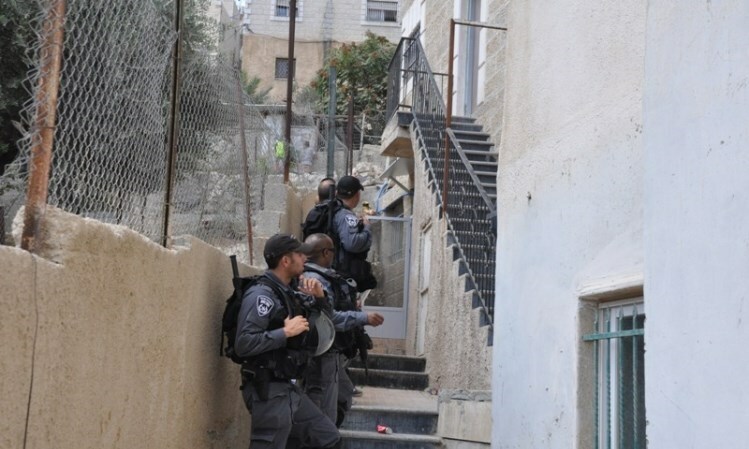 The appeal was first lodged in 2011 by a range of human rights organisations, including Rabbis for Human Rights, the Jerusalem Legal Aid and Human Rights Center and the Israeli Committee Against House Demolitions, in addition to local Palestinian authorities. Khamaiseh, who heads the Jewish-Arab Center and is a professor at the University of Haifa, has actively worked with the Israeli Civil Administration on the planning of Palestinian communities. According to Rabbis for Human Rights (RHR), Khamaiseh's affidavit accused Civil Administration planning institutions of being "plagued by a lack of understanding of, and disrespect for Palestinian culture," and said that "the lack of Palestinian representation in planning institutions harms the planning process very seriously." RHR said that in the first hearing, held last year, High Court judges said that they would not force the state to make a fundamental change in the planning structure in Area C, but that the current situation was unacceptable. They ordered the state to come up with an institutional change to increase the involvement of Palestinians in planning their communities. The state proposed a non-binding "consultation" procedure. However, RHR said this was nothing new, as Palestinians can already submit proposals to the Civil Administration and they are routinely rejected. Khamaiseh's affidavit on Sunday pointed out that the "consultation" procedure would change nothing as it does not impose an obligation on the Civil Administration to honor the wishes of the residents. The High Court has given the state ten days to reply, after which time the judges will decide how to proceed. The initial appeal calls for the restoration of planning authority in Area C to Palestinians. It points to the fact that Palestinian building permits are almost never approved in Area C, while those Palestinians who do build live under the constant threat of demolition. Meanwhile, nearly all building permits in illegal Israeli settlements are approved. The appeal is directed against the Israeli Minister of Defense, Israel's West Bank military commander, the head of Israel's Civil Administration in the West Bank, and the Israeli High Planning Council. Israeli authorities claim that the issue must be resolved through peace negotiations, but those who lodged the appeal say it is not a political issue, but one concerning planning and housing. 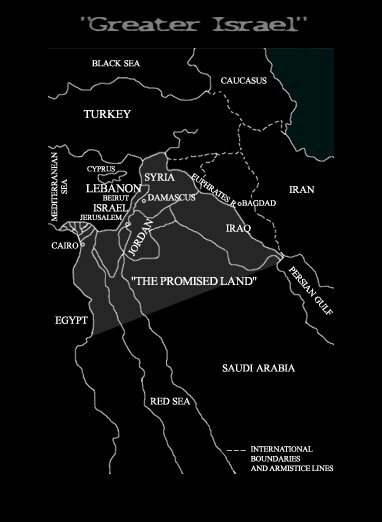 Under the terms of the 1993 Oslo Accords, Area C makes up 61 percent of the occupied West Bank and is under full military and administrative control by Israel. In January, the UN Office for the Coordination of Humanitarian Affairs (OCHA) said: "The planning policies applied by Israel in Area C and East Jerusalem discriminate against Palestinians, making it extremely difficult for them to obtain building permits. As a result, many Palestinians build without permits to meet their housing needs and risk having their structures demolished." OCHA said that in 2014 "Israeli forces demolished 590 Palestinian-owned structures in Area C and East Jerusalem, displacing 1,177 people -- the highest level of displacement in the West Bank since OCHA began systematically monitoring the issue in 2008." Last month, EU representatives condemned Israel's failure to meet its obligations to Palestinians in Area C, as the EU donated €3.5 million ($3.83 million) for infrastructure projects to support Palestinian communities in Area C.
While the Israeli Civil Administration is nominally responsible for developing infrastructure in the area, nearly all development only supports Israeli settlers illegally living in the area, while efforts to develop existing Palestinian communities are thwarted. As a result, Palestinians in Area C lack basic services and infrastructure including roads, waste treatment facilities, water facilities, and access to medical facilities, while gaining construction permits is generally impossible. EU signer of the funding agreement Michael Kohler stressed the serious limitations faced by the Palestinian Authority in promoting social and economic development of Palestinian communities, while EU representative John Gatt-Rutter emphasized that Area C is an integral part of the occupied Palestinian territory, comprised of crucial natural resources and land for a viable Palestinian State. Gatt-Rutter added: "Without this area, the two state solution -- that we have invested in for years -- will be impossible." 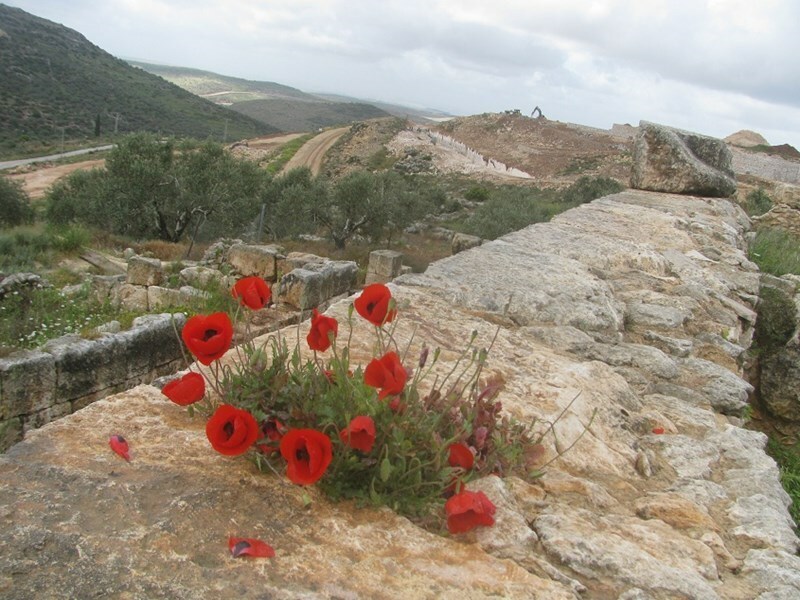 Settlers from Leshem settlement to the west of Salfit took over an archeological site located on the lands of two Palestinian towns in the governorate. 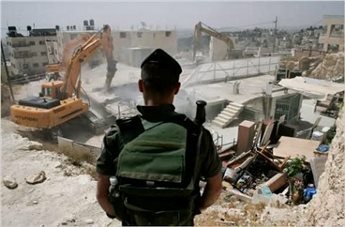 Eyewitnesses said Israeli bulldozers have been working 24/7 on paving ways and building huge walls around the hamlet where the site is located. The Palestinian researcher Khaled Maali revealed that the archeological site in Deir Sama’an is threatened by Leshem outpost which was established in 2013. As surrounded by settlers, the area cannot be accessed by Palestinians except for one way in the south side that was paved by the Jewish settlers. The settlers are planning to steal the most beautiful historical site in the district, Maali warned. He highlighted that the International Criminal Court considers stealing or changing the landmarks of historical sites as a war crime. Israeli minister of housing Uri Ariel has vowed to enable Jewish settlers to permanently visit an alleged archeological religious site on Mount Ebal in Nablus city. According to Israel's channel 7, the site is claimed to belong to the altar of Yusha Ibn Nun and was discovered some 35 years ago. Ariel made his remarks during a recent visit to the site along with the director of the Israeli antiquities authority, some Knesset members and Gershon Mesika, head of the West Bank settlements regional council. Channel 7 said that access to the site was difficult for Jewish worshipers without using a four-wheel drive vehicle, but there were efforts to facilitate their travel to the place after obtaining special permits. Mount Ebal is one of the two mountains in the immediate vicinity of Nablus city and forms the northern side of the valley in which Nablus is situated. It is one of the highest peaks in the West Bank.